Earlier, we took with the Yes Go USB dongle for a spin and we’ll be the first to admit that we were quite impressed with what the Yes network has to offer. In our stationary tests, we managed 5Mbps downloads and 2Mbps uploads with only two bar reception with the test done on the 17th floor. We know that the network is still new and there’s still very little load on it but even by this measure the speeds that we’re getting are rather impressive for a wireless network. 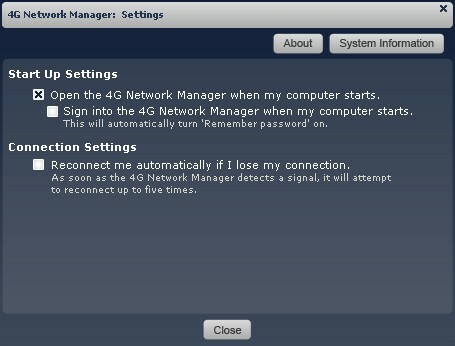 This was stationary tests but since Yes touts its 4G network as mobile we wanted to know how mobile is mobile. Yes’ closest competitor — P1 — has been in the market for the good part of two years with a claimed population coverage of around 40% and even with a good head start, P1 still can’t claim its network as a mobile network. How does Yes fare in comparison? First up, Yes already has a lead in terms of coverage with a claimed 65% of the population covered. Next, Yes offers an all-4G mobile phone and a 4G MiFi, two devices P1 doesn’t have in its product arsenal at the moment. Based on this, it seems to us that Yes has their sights set on taking a few chunks of the mobile market from the 3G boys. And so, that will be the bar that we will measure Yes with. We’re expecting the Yes 4G mobile network to deliver strong and consistent performance in places where 3G would as well as while traveling in between these locations — just like 3G. We will be looking for seamless connectivity and we will also be looking to answer some of the questions that you’ve asked in our comments section. How does the Yes Go and the Yes 4G network handle hand-overs between sites? Does it disconnect when switching base-stations? Find out the answer to this and more in our road test of the Yes 4G network within Klang Valley. 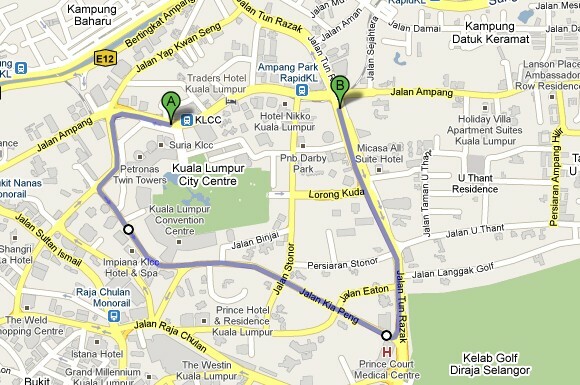 For the first test, we started at KLCC on Jalan Ampang. 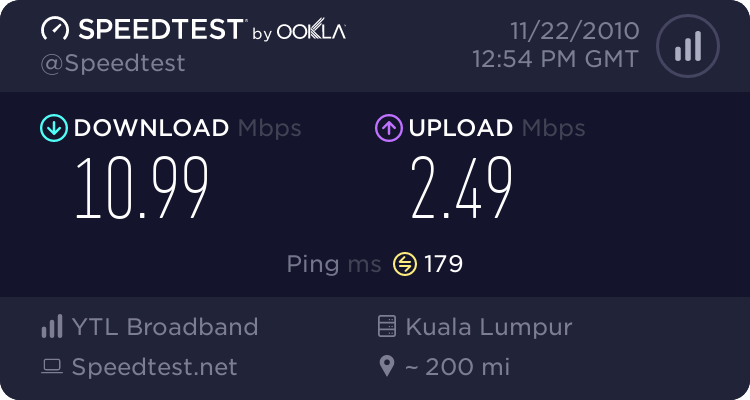 Before we went on the road, we took some stationary baseline figures we at KLCC with an average signal strength of 4 bars. Below are the results. 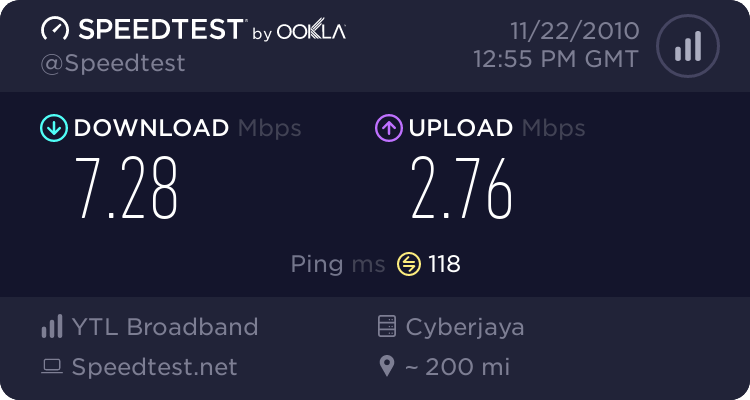 From the KL servers, we got a very impressive peak of 10.99Mbps downloads and 2.49Mbps uploads. This is the highest figures we have ever seen for wireless broadband and it is probably the fastest Yes speedtest result recorded in public. Tracing this route, our Go USB dongle was able to stay connected while we surf the web. 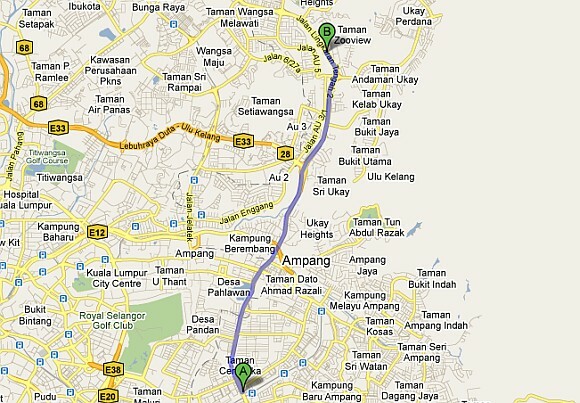 All along we didn’t experience any disconnection until we reached Jalan Pinang right before the Jalan Stonor junction. We lost connectivity here as a result of being out of coverage. We tried to connect multiple times at this point but the connection manager confirmed that we were out of coverage. 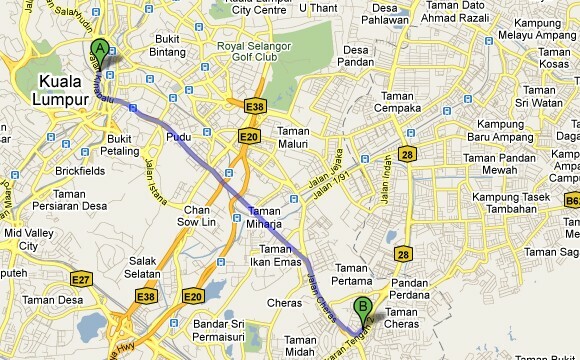 In our next test, we proceeded to drive further away from Jalan Tun Razak towards Jalan Kuching, a distance of 3.3km. In this test we tried to download a file while maintaining an average speed of 70kmh. We’re amazed with the dongle maintaining connectivity all the way, we were able to download files along the whole stretch of the test route without disconnecting. In our single thread download test, we managed to get an average speed of 350KB/s (about 2.8Mbps) on this route. Each time we saw the signal bars dropped to one bar, we braced for the connection to drop but it didn’t and we could see the connection seamlessly switch to the next base station showing as the signal strength indicator go back up to full bar. We did notice some slowdown or pauses during some base station handovers but the what’s important is that our session remained active throughout and we didn’t get disconnected. It’s worth pointing out that we unchecked the automatic “Reconnect” feature in the Network Manager so that we are able to note any disconnection during the test. Upon joining Jalan Kuching, our connection got dropped again right before we pass Merdeka Square. This means that Yes currently does have some coverage gaps considering that we’re testing in urban area. We hope this will be addressed quickly as Yes expand their coverage to 80% next year. In our third test we wanted to look at the quality of the mobile connection further away from the city centre. 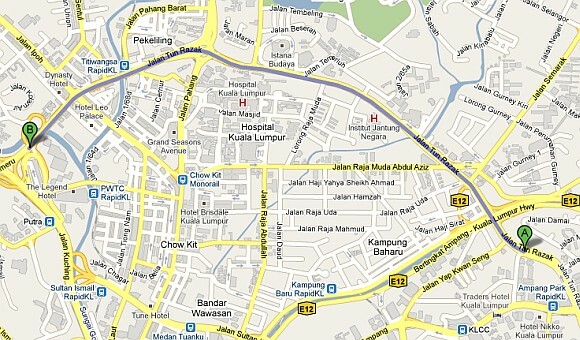 From Jalan Kinabalu we drove out of the city centre towards Cheras. On the way, we encountered several blind spots and we lost network connectivity several times along the way. It gets more severe on this stretch that if we tried to connect, the session probably lasts less than 2 minutes especially along Jalan Loke Yew and Jalan Cheras. The situation however changed after we turned into MRR2. From Pandan Indah onwards, we were able to regain back full seamless connectivity for about 5KM continuously until somewhere near Ukay Heights. 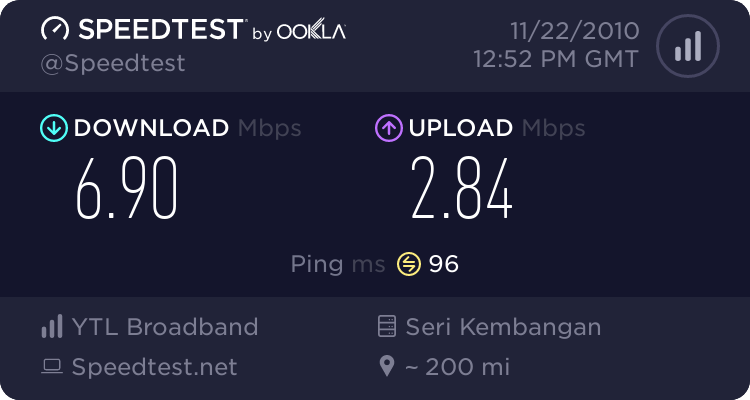 Although we can maintain connectivity, we found that speeds were not consistent overall. We managed speeds between 50KB/s to 230KB/s (about 400kbps to 1.9Mbps) on this stretch. We can’t tell for sure what is causing this but it could possibly a combination of vehicle speed, distance to base station and various other factors that affect wireless performance. Our test stops at Ukay Heights when we go disconnected once again. While making a U-turn back, we tried to load a standard definition youtube video. We were quite impressed to see the video load smoothly with no buffering. As expected, we unfortunately couldn’t finish loading an entire 34 minute video before we hit another blind spot. We can only imagine once all major highways are fully covered, a MiFi device will be perfect to stream internet radio or video content while driving. So what can we say about the Yes network after all this driving around? 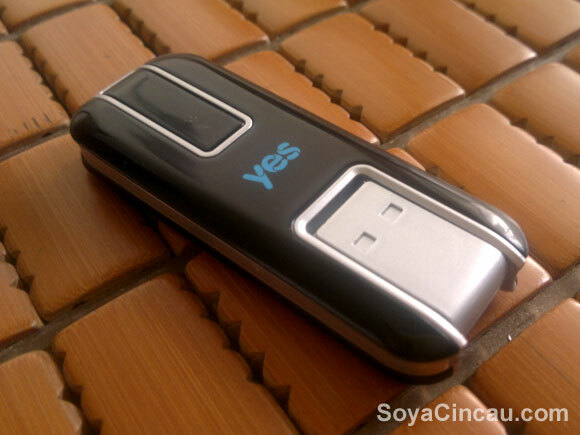 One thing is for sure, Malaysia, we now have a fully mobile WiMAX network and it’s called Yes. Looking back at our walkabout test with a WiMAX Inside laptop on P1‘s Network, we can say that handovers are handled much better with the Go. How does Yes compare with other 3G networks? For one we can see that the performance is unlike any wireless 3G network we’ve tested. But with 3G, where there are no coverage, you can fall back to EDGE to stay connected (albeit painfully slow). With Yes, there is no such fall back, you are either connected or you are not. And depending on your usage pattern this could be no issue or it could be a major issue. There are still gaps in between certain areas which obviously causes disconnections. We will argue that with 3G there are gaps and blind spots as well but maybe not as pronounced as what we’ve experience on Yes. This leads us to wonder how the Yes Buzz will perform considering the fact that network usage on a mobile phone is very different from a modem. We would think, in its early days, a Buzz user may experience more dropped calls than he normally would on a 3G mobile phone. We hope to get a review unit and find out when the device is released next month. On another note, we also noticed signs of speed deterioration when switching sites which probably may not be the best experience for those who seek consistent speeds while moving but considering that this Yes network was opened to the public less than a week ago, the performance and mobility that Yes is delivering now is admittedly impressive now. This is a good start for Yes and of course, over time, we would expect these gaps to be filled when at its coverage grows, our only hope is that it grows fast. The Yes network is, for now, the brand’s saving grace. And it s a fundamental one because as Yes is now being inundated with problems and issues, its good to note that the most important part of the business is intact and is capable of delivering the goods. We mentioned before that Yes should look at the series of disasters mishaps that they are working very hard to address now as an opportunity, an opportunity to forge a great brand our out of the monumental pressures of public criticisms. If they can get their marketing and other elements of the business back into shape, then maybe, just maybe, they will do alright. Keep it locked on to SoyaCincau.com as we follow how Yes try to overcome these initial challenges and start bringing some heat to the big boys. Also we will continue to test yes 4G network more extensively so look out for that as well.